We were called by the Police regarding a 27 yr old man who was scrambling on the Eskdale face of Ill Crag and had sustained a 15m tumble fall and was now in pain and could not walk. We responded with a full callout and also asked for the assistance of a Sea King from RAF Boulmer, and later on, Duddon and Furness Mountain Rescue Team. We located the man half way up the right hand ridge of Little Narrowcove at the same time as the Sea King arrived. This is about as remote a place as we have in our area. The man had sustained pelvic injuries and was in significant pain. The team doctor gave analgesia before the casualty was packaged into a vacuum mattress and stretcher for winching into the helicopter from the scene. Incident closed around 21:30. 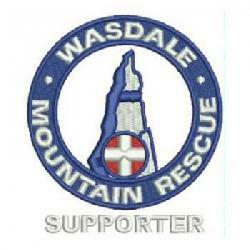 Approximately 18 Wasdale and 11 Duddon team members were involved.